"Tule Lake War Relocation Center." Photo courtesy of Library of Congress. Because of fears connected to World War II, families were yanked from their homes. Imprisoned in remote places such as Tule Lake, citizens who had been peacefully living in the United States for generations were brutally isolated and stripped of their possessions and civil liberties. Sacramento’s Crocker Art Museum is marking the February anniversary with displays of art and documents. The Japanese Folk Art Movement, which experienced a boom after the war years, reflects the resiliency of a people and culture. Photographs of internment camps such as the prison at Tule Lake will illustrate the brutal conditions that innocent Americans endured. Titus Toyama, an elder at Parkview Presbyterian Church, is working with others in Sacramento to publicize another exhibit at the California Museum. Toyama, a retired financial officer for the state, is spreading the word about Tule Lake, including the 12,000 Japanese Americans incarcerated there who rebelled against the government’s regimen of mass imprisonment. Toyama has pointed out he is "a bit" too young to have experienced first-hand the terrible impact of that event. Nevertheless, he deeply appreciates its historical significance. Parkview Presbyterian Church, Sacramento, California. Photo courtesy of church website. Christine Umeda, another elder at the largely Japanese American Parkview church, describes Toyama as "an extremely thoughtful person who researches any subject that he speaks on." Umeda added that Titus Toyama and his wife Donna have passed on to their two daughters a strong interest in history; both are historically aware and socially involved in community causes. 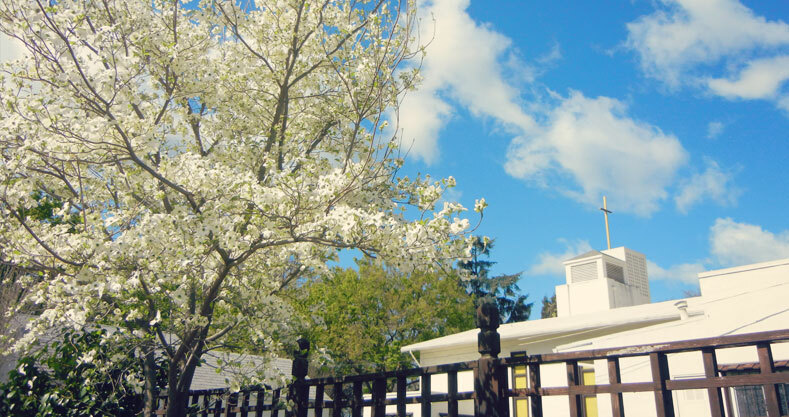 An accountant, Toyama has brought crucial administrative experience to his church, which is located in the Southwest corner of Helvetia Block—the original historical tract making up the city of Sacramento. Both Umeda and Toyama have also been active members of the Japanese American Citizens League, a group that works to preserve the memory of the harmful executive order that relegated thousands of innocent civilians to undeserved imprisonment. Trailer for Resistance at Tule Lake, a documentary film. On this anniversary of the Japanese internment, remembering the suffering of the families and individuals who were imprisoned is of utmost importance. Also important is honoring the resiliency of the victims—a resiliency that is demonstrated in both the survival and flourishing of an amazing culture, and in the strength to resist a powerful injustice. A new acquaintance of this author is a highly placed official of a Northern California seminary who calls these two aspects of resiliency an important “juxtaposition.” Artistic impulse and a challenging point of view may contrast in tone. But both can be understood as equally valid ways of remembering that underscore a critical juncture in our shared national legacy. --William R. Laws III, a member of the PHS Advisory Council, calls himself a "class-A history enthusiast." A year ago he and his wife A'Delle drove to a remote site in Scotland where his Presbyterian ancestors once lived. On a recent trip to Williamsburg, Viriginia, Bill was thrilled to learn about the involvement of early American Presbyterians in the development of the nation. He is thankful for the strong interest in history in the PC(USA). As he told his brother Peter at Shields Tavern in Colonial Williamsburg, "It's about telling the truth about the 'why' of who we are."